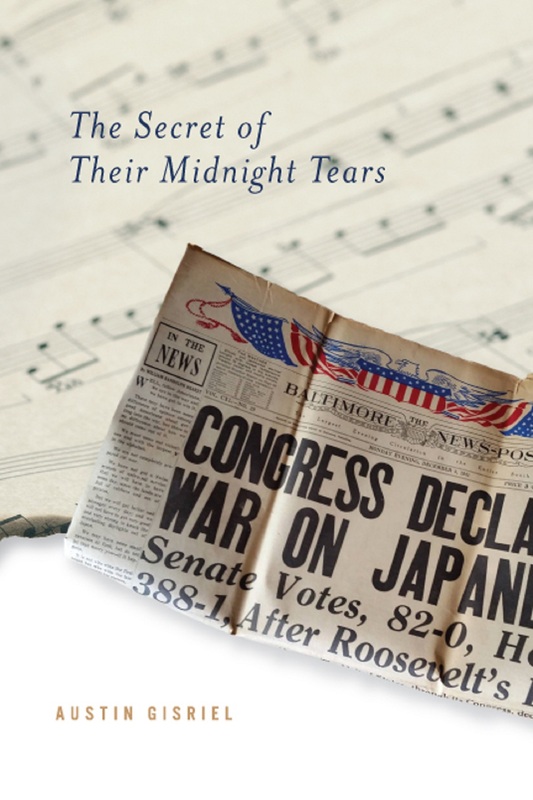 Many of you know that I have been working on a coming of age novel set during World War II, and I am happy to announce that The Secret of Their Midnight Tears is now available in all formats. The idea for The Secret of Their Midnight Tears actually arose as I was researching the life of major league pitcher, Boots Poffenberger. Boots, a Williamsporter, was a United States Marine from 1943-1946 and routinely received the town’s newsletter, The Dugout which often contained news about Boots, as well as correspondence from him. I read the other letters and articles, too and somehow that period of time came alive to me. The world was falling apart, but boys and girls were still attending dances and graduating and falling in love, all while being asked to save that world. Writers gotta write and I was fascinated by the characters who stepped out of this world of history and into my imagination. The characters came to life for me: Indeed, the title comes from a line of dialogue that I had no idea was going to be uttered until the character said it. I wanted to do more than tell their stories, however; I wanted the reader to experience the days leading up to and immediately following the bombing of Pearl Harbor, which was of course, the life-changing event for an entire generation. Therefore, the e-book version, which is only $0.99, contains links to recordings of news bulletins, as well as links to articles on the movies, radio programs, and historic references contained in the story. I have also tried to convey the uncertainty of it all. We tend to think that history is pre-ordained and that because we know the outcome, the outcome must have been obvious to the participants as well. That was hardly the case. Each chapter of The Secret of Their Midnight Tears takes place on a different day or sequence of days beginning with June 13, 1941—the last day of school in the little town of Marsh Point—and concluding on November 26, 1942, Thanksgiving. Three young men. Two young women. One World War. For a summary of the book, and instructions on ordering either the paperback or the e-version, visit the Fiction page of this blog. Since authors always carry copies of their books with them, you can get one from me when you see me; autographed, no less! As a P.S., I have to say that Erin Lange, Sarah’s former college roommate at Salisbury University, did an outstanding job with the cover. This entry was posted in Writing and tagged Boots Poffenberger, coming of age during WW II, growing up during WW II, Pearl Harbor, summer reading, Thanksgiving 1942, WW II fiction. Bookmark the permalink. Thanks, Al. This is new territory for me!